When the letters come home from school about World Book Day I generally look online and purchase a costume for the Mini Mes and we've had some great ones over the years. But this time, to save money and to have a little fun in the process, we decided to create our own. After all, nothing beats a little imagination and effort for a home made design. It gives us all a great sense of achievement too. 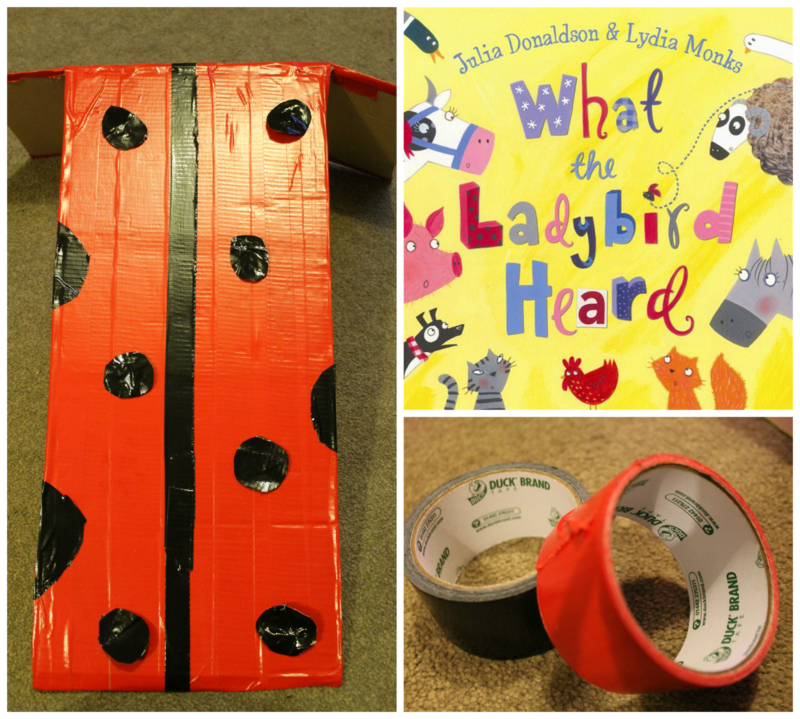 What the Ladybird Heard is a lovely rhyming tale by Julia Donaldson. The illustrations are bold and bright and the glitter adds even more magic to the pages. Ladybirds have always been a favourite creature of Minxy's so she has dressed as one quite a few times. To create this Ladybird costume we just used a large cardboard box, red and black Duck Tape - it really is that simple! Cut a rectangular box so you have two large panels along with a side all connected. In the side panel you cut out a hole for the child's head to go through so it looks like a tabard. Alternatively just cut out the two side panels and connect them with Duck Tape - the tape becomes shoulder straps. You could also use this costume idea for The Bad-Tempered Ladybird by Eric Carle or as Gaston from Ben and Holly's Little Kingdom! 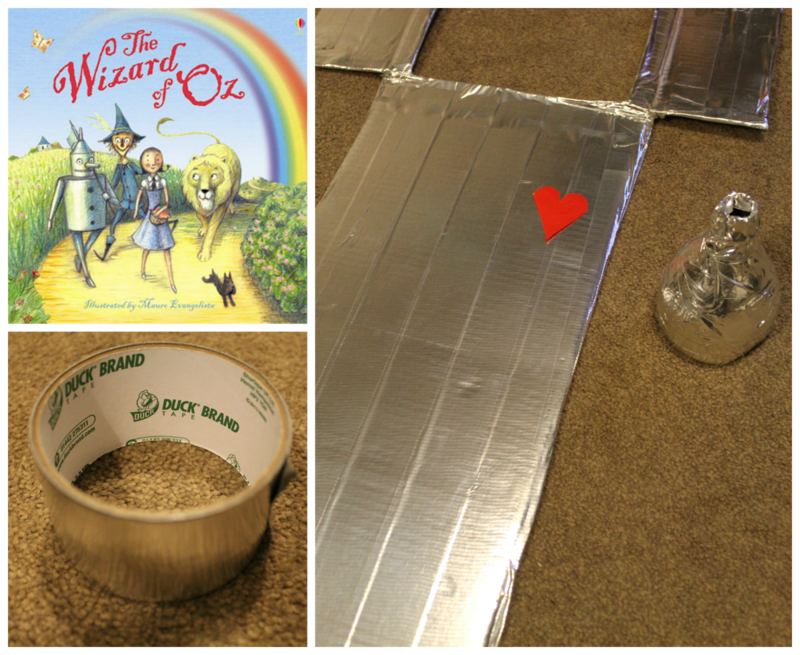 Secondly we created a quick Tin Man costume from the classic; The Wizard of Oz. You can use the silver Duck Tape to make a Silver Surfer costume or Sonic the Hedgehog too. Using Duck Tape saves time and mess from painting. There are so many colours to choose from, including funky prints, so you could even opt for an Elmer the elephant costume! For more costume ideas take a look on the Duck Tape website. 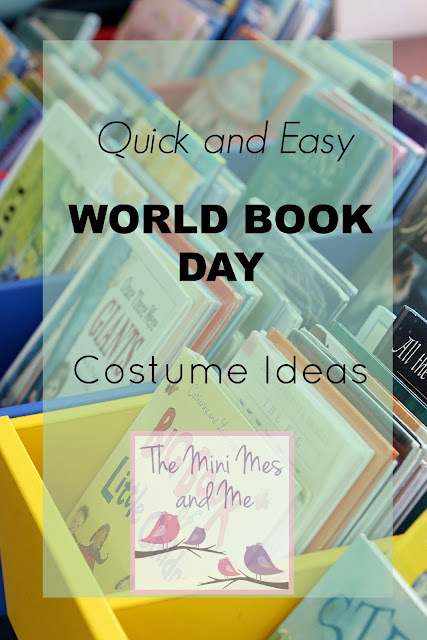 What costume will your child be wearing for World Book Day? Great idea, thank you! It will be The Very Hungry Caterpillar for our youngest. Its amazing some of the things that are made with duck tape now! Great idea. Caterpillar, as he loves The Very Hungry Caterpillar. These are so simple but creative! The Tin man is excellent. I always love seeing all of the children going to school on World Book Day, there's some amazing costumes! My daughter dressed up as one of the pirates from 'Pirates Love Underpants'! I really love these clever ideas!